This particular book review was initiated by my answering a call for book donations to the State Genealogical Association. This appears to be the normal procedure. I also encourage authors to have membership in the association/society in the towns, states, and counties of research interest. It's a way to keep a pulse on what is needed: "how can the author in you fill a void?" 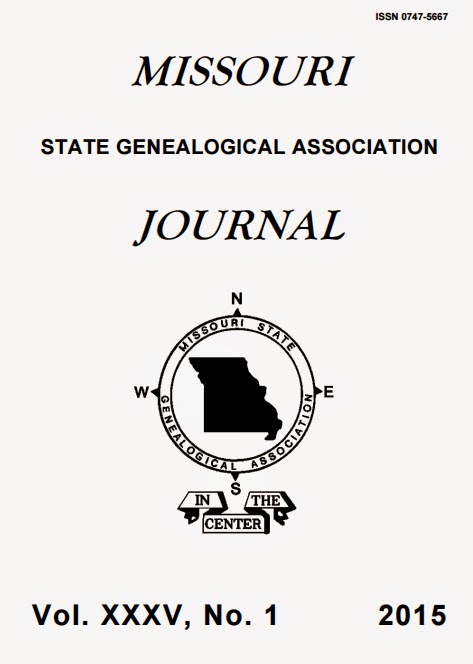 Plus the avid genealogists subscribes to many of these organizations, just for the journals and newsletters. It's a great way to get research tips, hints and history, as well as another place to uncover family surnames, and connect with fellow researchers. Complete book reviews from a reputable organization will be available for researchers and libraries. Libraries rely on these organizational book reviews to make a decision on limited purchasing funds. 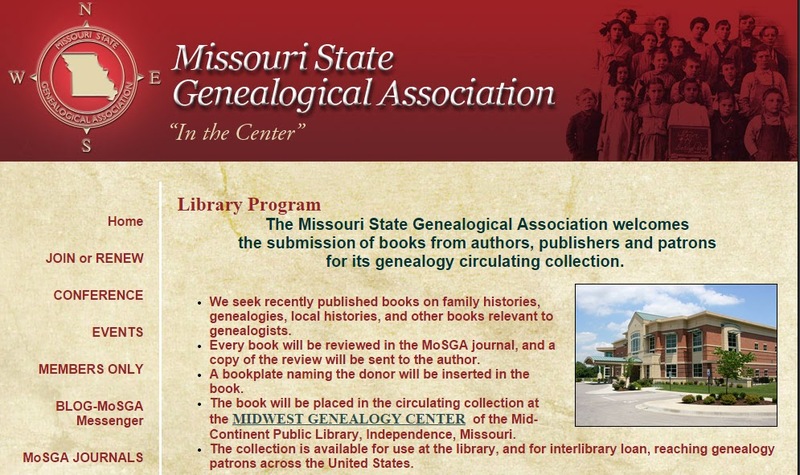 Donated books may be placed in the "genealogical circulating collection" of a genealogy center, like the Mid Continent Public Library. Once in circulation, these books are most often available via inter-library loan, reaching far-away researchers. Thanks to MoSGA and Belinda Luke, Mosga Library Director for the review and white space! To Order the Colored Marriage Records of Saline County, MO, 1865 - 1875, visit the a3genealogy site. More than often researchers stop short of finding the full story. But five (5) cases were solved 1st quarter 2015 by scouring state court cases and appeals. 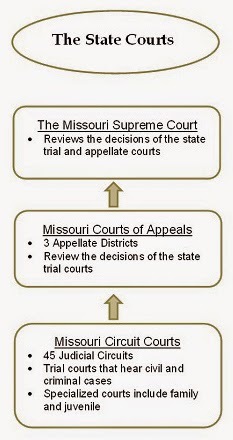 At a3Genealogy, we usually assume that for every court case, there was probably an appeal. Why? Because there’s a 100% chance that half of the parties (party) represented by someone or some company did not like the result of a lower court. So the research is not over until the possibility of an appeals court case has been eliminated. 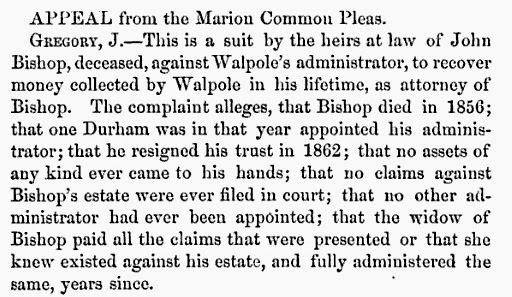 All court cases seem to give us at least some genealogical, social, or family history, but our favorites are the Appeals Court Cases. Some researchers question if the extra ferreting is worth it, but we profess that it almost always has a high return on (time/money) investment – what we call a “Return on Genealogical Investment” (ROGI©). A wrongful death (often caused by company/railroad neglect), providing a death date and details of the incident. Names of a family unit that can be used to unscramble common names. Immigration, settlement and estate details most often come to the forefront when discussing land and property cases. 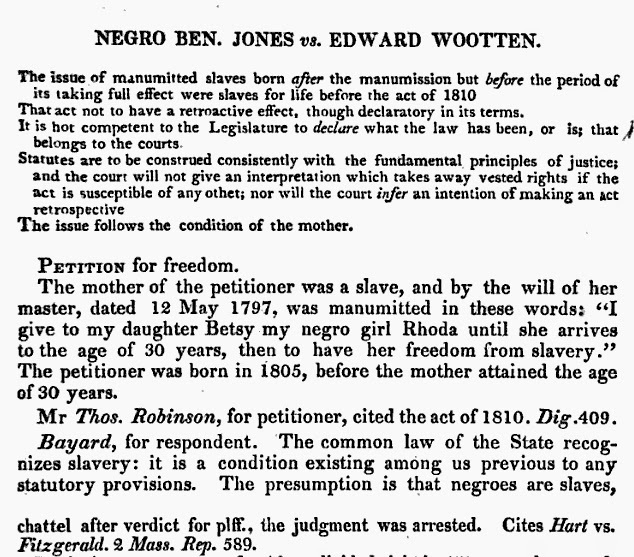 Slave research holes and slave holder names (and sometimes slave parent names), manumission dates, etc. The Delaware Reports that reviewed cases decided through appeals proffer answers (and questions) of the fate of a few slaves. · Google Search. A simple google search may yield answers to your ancestors' (or his heirs') court cases. We were able to find answers using the Reports of Cases Argued and Determined in the Supreme Court of Judicature of the State of Indiana, GoogleBooks.com for details of a railroad accidental death. This case also provided proof of (sibling) orphans, and grandparents’ names, taking our research back one more generation. For this search we gathered hints, but not details, from the newspaper: The Indianapolis Journal. · National Archives, County Record Group 21 (RG21). Records of District Courts of the United States: If the researcher is looking for a trial court for federal jurisdiction, begin your search with RG21 (Record Group). Remember these records are housed by regional National Archives. Here is an idea of what can be found at the National Archives at Atlanta. These records may date as early as 1790 as in the case with Delaware 1790-1988.